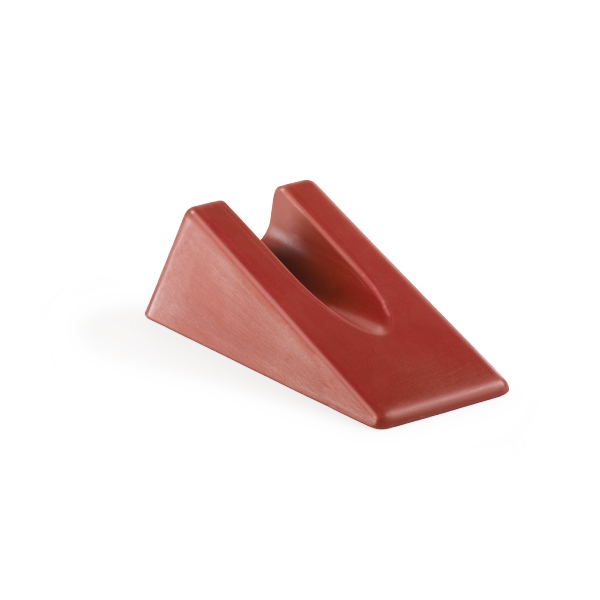 Featuring a compact design, OPTP's mobilization wedge is ideally suited for mobilizations of the spine and extremities. Constructed of a firm but comfortable rubber with a 1" wide molded groove to relieve pressure on the spinous process during mobilizations; rubber also keeps wedge from slipping. Measures approximately 3¾" W x 6" L x 2" H.
Size is ideal for my patients. Slightly smaller than the Norsk and Kaltenborn wedges but a little wider spinal groove – a unique size but perfect fit for the patients I work with.